Cross slide: Fold your scarf in the basic bias and place around your neck. 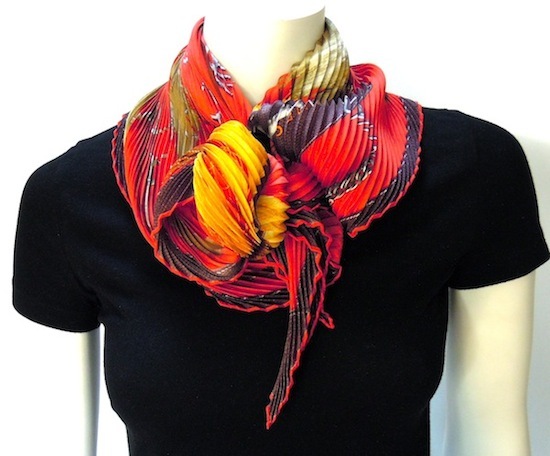 Take both ends and slide through your scarf ring, coming from opposite directions. 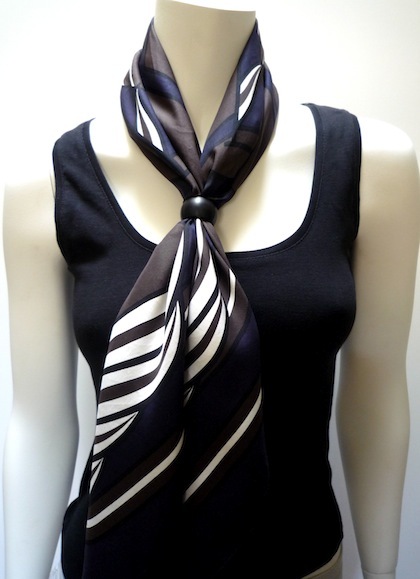 Triangular slip knot: Fold your scarf into a triangle, and place around your neck (ends hanging down your front). 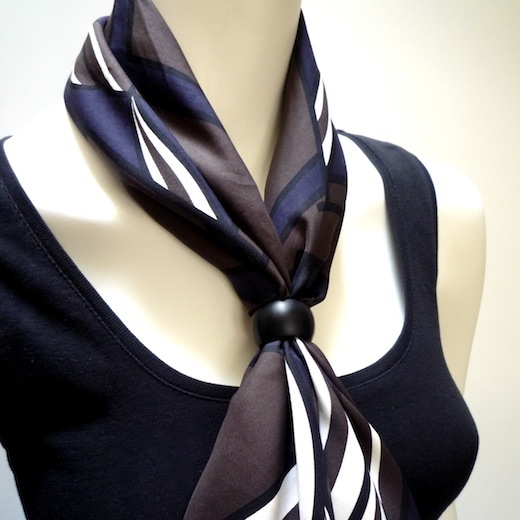 Take both ends and slide your scarf ring towards your neck.